Author of The Rescuer's Path (2012, PVP), a novel of love, courage, and family in the antiwar movement. Author of Time and Other Details (2006, Highlights Press), a selection of award-winning poetry on history, life, and other ephemera. Author of numerous stories and poems published in literary and other journals and anthologies. Freelance editor for university and trade presses. Former director, Rosenberg Award for Poems on the Jewish Experience. Founding editor/facilitator, The Open Cell literary magazine/collective. Former newspaper reporter, museum public relations director, gallery readings director, etc. MFA, San Francisco State U.; MLS, U.C. Berkeley; BA, Cornell U. With the Occupies and the growing third-party movements as elections near, this year, we are reminded of the days of hope, the time we call “the Sixties.” For many of us, this time was primarily, or crescendoed in, 1965 to 1969 or so. My essay “God’s Eyes,” originally published in 1994 in Viet Nam Generation under the title “You asked ‘What was happening then? '” received a Pushcart Prize nomination and, in 1996, honorable mention for the first New Millenium Writings nonfiction award. “God’s Eyes” is written as if speaking to my first child, given up for adoption and who had, as an adult in the early 1990s found me. “God’s Eyes” tells of discovering, through love, pregnancy, and a nonviolent demonstration in the antiwar movement, my self–my depths, and that I loved, and that we can each love and struggle for a more loving society. “God’sEyes” tells us that we found, in those days of hope, ways to recognize the love in everyone, in self and others, and to reach through to this love to create a better society. We still can, really. I was fresh out of college, new to Berkeley. The woman in the next apartment had her radio on that evening and invited me in to hear Kennedy’s speech; people commented how well-phrased it was. 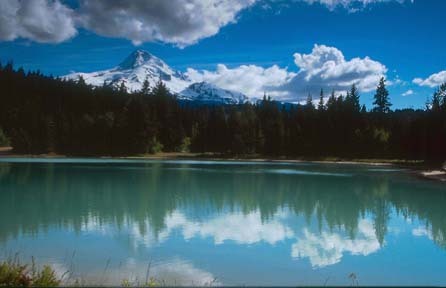 The rain, that night and the next day, was that gray-silver cloud that descends when we don’t know if life is soon over. I remember walking up Telegraph that afternoon and buying a lighter and raincoat in the dimestore, after phoning friends to find someone with a car and others who were ready so we could flee. On the campus, some of us met and were having coffee when a siren went off. A minute later, we heard the siren moving and realized it was only a fire truck, and breathed again. Later, there was a corner rally and Bill Mandel said “Look, I’m middle-aged, for me maybe it’s all right, but you people are still young! You need your lives,” and Marvin Garson invited everyone to that evening’s End of the World party. In the morning, on little sleep, four of us–Eli and his girlfriend, and Gene, and I–drove up 101 in Gene’s car, which had uncertain brakes. Near Willetts, we camped, buying “good steaks for a barbeque” in a small-town grocery; “They probably think we’re the only people not worried,” Gene or Eli said. By the next afternoon, we were heading back, and stopped in Mendocino–my first trip there. I and one of the guys were feeling very embarrassed or ashamed to have run in fear from a fate that all of us around, all of us in the world, might now confront. In the evening, we returned to Berkeley. While we were away, the ships had met and the Polish ships pulled back. But the crisis continued until the agreement, that Saturday, and (it has since been learned) for some weeks thereafter. And, as my friend Harvey said, sometime that December, the biggest danger was in the week before the announcement, when the administration had been determining whether to try a blockade or an attack. Copyright 2012 by Paula Friedman. All rights reserved, including all print and electronic media. The recent page-turning novel The Rescuer’s Path recounts a tale of lovers struggling against an unjust, war-making society. The Rescuer’s Path is the tale of a Holocaust survivor’s young daughter who, in Nixon-era Washington DC, discovers and aids a wounded fugitive, a half-Arab antiwar activist suspected of the lethal bombing of a US Army truck. Overcoming their fear and distrust, the two young people become friends and flee cross-country, pursued by an implacable FBI. In the Rocky Mountain wilderness, they learn each other’s depths of love and courage. But their pursuers close in, in tragic confrontation. Three decades later, in the shades of 9/11, the young couple’s daughter, raised adopted, seeks out the truth of her origins. 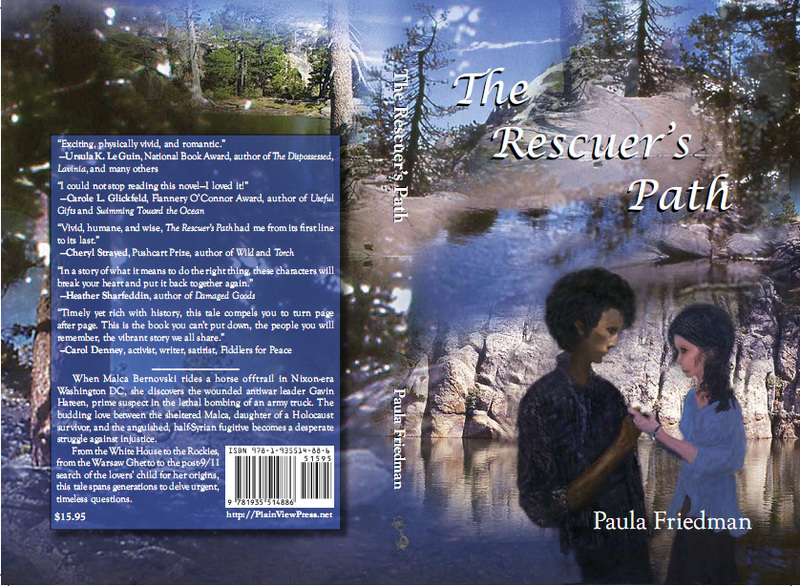 The Rescuer’s Path (2012, Plain View Press, trade pb., 200pp., $15.95) is available through http://www.amazon.com, http://www.plainviewpress.net, and many online bookstores, and by order through your local bookstore (distributed by Ingram). Contact paula@paula-friedman.com to arrange a reading and/or signing for your reading group or organization. Today’s list contains an unpredetermined number of short stories, short-short/flash fiction, and novellas. They are not ranked here. (N) indicates a novella. The Facts around the Helsinki Rocaccios (N). Yann Martel’s novella recounts a friendship “to death do us part,” and invokes a heroic creativity around this concept. The Ambitious Guest. In this simple classic, Nathanial Hawthorne evokes all those existential questions that, for many other authors, require tomes. The Snows of Kilimanjaro, be it noted, was Hemingway’s attempt at same. Terminal. 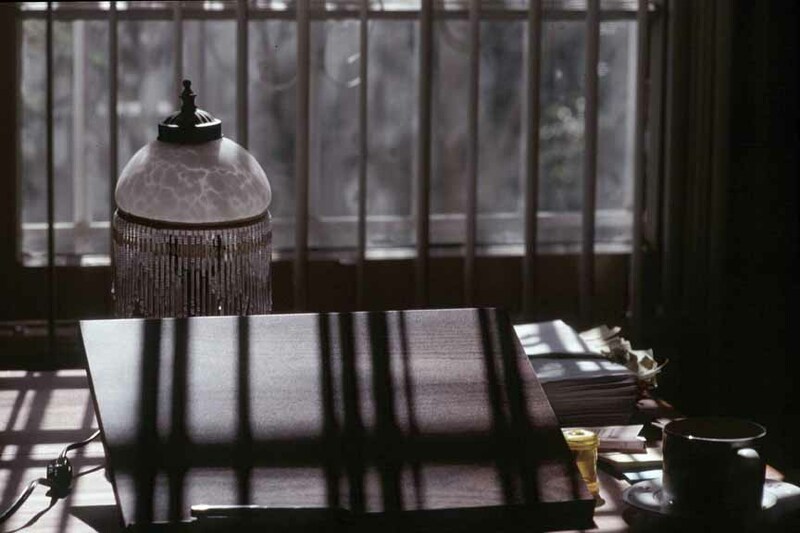 In this very short story, Nadine Gordimer delves love’s confrontation with the impossible. Tell Me a Riddle (N). Tillie Olsen explores a marriage, a time and its politics, the interweaving of political struggle with ordinary human compassion, a dying woman’s search for meanings, and the real stuff of love. Read this. I Stand Here Ironing. In these five pages, Olsen brings us into the heart of a mother raising a child against all odds–and learning what human freedom means. The Long Way Out. In F. Scott Fitzgerald’s eloquent “frame” story, we are immersed in a doctor’s account of a young mother’s inability to accept her husband’s death on the day he was to bring her home. The Ones Who Walk Away from Omelas. Ursula K. Le Guin’s tale of the citizens of a near-perfect society built on the sufferings of a single child invites comparison with Dostoevski’s Grand Inquisitor scene. Le Guin’s The Day before the Revolution and her The Shobies are no slouches, either. The Metamorphosis (N). “One morning Gregor Samsa woke from a night of troubled dreams to discover he had been turned into a giant insect.” Thus begins the most famous and unforgettable of Franz Kafka’s uniquely voiced tales. Toga Party. Yeah. Usually I don’t go for John Updike’s works, but this one is a classic. Like several others here, it invokes the matter of confronting death–in this case, in the world of suburbia. The story is very well done. Tlon, Uqbar, [and I forget the other two names] (N). Jorge Borges’s narrator tracks the mysterious manuscripts and artifacts of Tlon [or is it Uqbar?] through the maze of their mental metamorphoses, in this elegant, illuminating exploration (presuming it exists). We may note that this story generated, among innumerable other works, Paula Friedman’s short story Urr. . . , in which a physics-defying spaceship finds (“finds”) the planet Urrrr. . ., “whatever it may be,” whose inhabitants have–and use–an arithmetic entirely (and so, dangerously) different from our own. The Prayer. This very short story envelopes us in the three voices–everyday, fantasy, and prayer–of a socially isolated, imaginative teenager struggling to emerge from a world of Cold War post-Holocaust banalities. Author is Paula Friedman. Notes from Underground (N). Self-doubts,universal questions, frustrations, and sorrows threaten to drown this hero in wonderfully complex, sometimes self-referential, brilliant prose. Fyodor Dostoevsky. White Nights (N). Doestoevsky tells of the lost love that obsesses and leads the narrator through the long, white Russian nights. [Title forgotten. (N).] Par Lagerkvist. This is the tale of an overarching love–a simple account of a man and woman who meet, fall in love, overcome obstacles, have and love a baby more than one might have thought possible, and learn what love and loss can mean. A sort of “opposite” is Lagerkvist’s (title novella in) The Eternal Smile, with its millenia of multitudes of dead human souls recalling (through the concepts of) their lives during their quite separated historic and prehistoric epochs. Heart of Darkness. You know–“Mistah Kurtz, he dead.” Joseph Conrad. Very good. We now have 10+ “bests” by, mostly, well-known authors, and one or two of my own. And a few extras. Enjoy them all; every one of these short (and longer) fictions is worth reading, and most are unforgettable. But what are your candidates for Best Short Story, Best Flash (short-short) Fiction, Best Novella? And if you like short-short science-fiction, check out the science fiction microstory contest on LinkedIn. Its anthology will come out this winter.